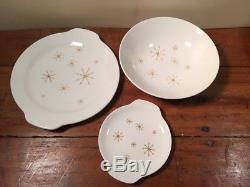 Vintage Royal China Star Glow dinnerware set of 51 pieces includes. 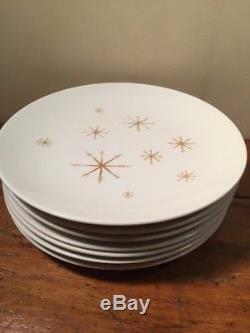 (7) - 10 Dinner Plates. 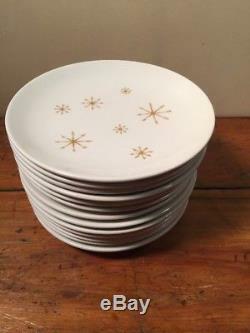 (1) - 9.5 Salad Plate (can act as a dinner plate in a pinch). 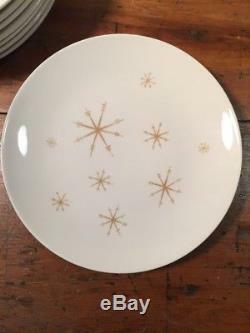 (13) - 6.25 Bread/Dessert Plates. 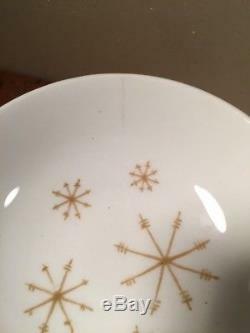 (12) - 5.5 Berry/Dessert Bowls (one has a hairline crack coming in from the edge, one has a small ding in the bottom center, and one other has a chip on the underside of the lip). 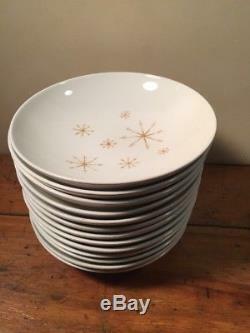 (13) - 7.75 Shallow Soup/Salad Bowls. 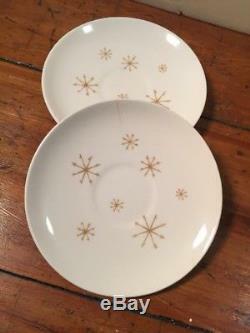 (2) - Saucers (one has a hairline crack coming in from the edge). 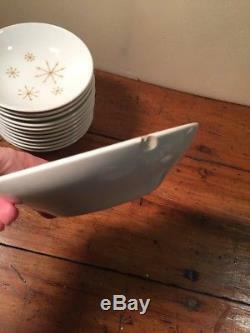 (1) - 10.5 Double Handled Platter. (1) - 6.5 Double Handled Platter. 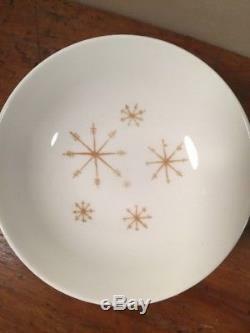 (1) - 9.5 Round Serving Bowl (has chip in lip). FYI, all pieces plus packaging comes to 44 lbs; ironstone is heavy! 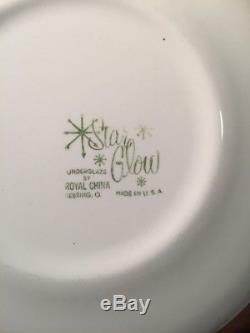 The item "51 Pcs Vintage Royal China Star Glow Dinnerware, Ironstone Mid Century Atomic" is in sale since Thursday, November 09, 2017. 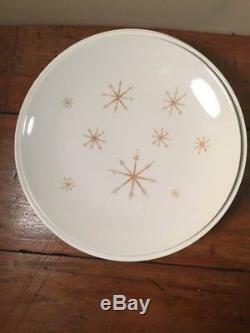 This item is in the category "Pottery & Glass\Pottery & China\China & Dinnerware\Royal China". 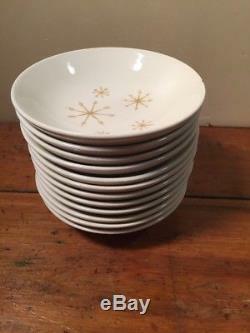 The seller is "piebeforecake" and is located in Virginia Beach, Virginia.